Google Music launched earlier this month and the new brand sat down with Young Money's Canadian kid Drake for an in-depth conversation. During the chat Drizzy spoke on Take Care, collaborating with Rihanna for his album, where Nicki Minaj stands in his eyes, Lil Wayne's confidence in him, and more. 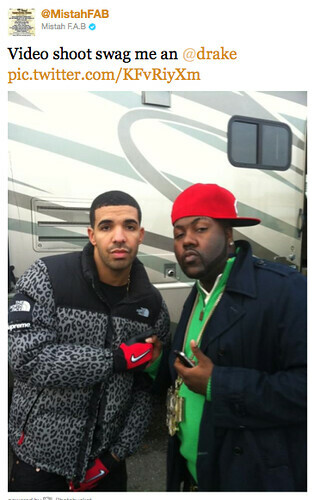 Drake was recently spotted with West Coast rapper Mistah F.A.B. while out in the Bay area shooting his video for, "The Motto," the next single off Take Care. Be on the lookout for more photos from the shoot.